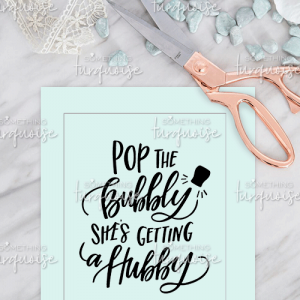 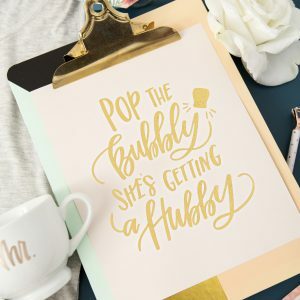 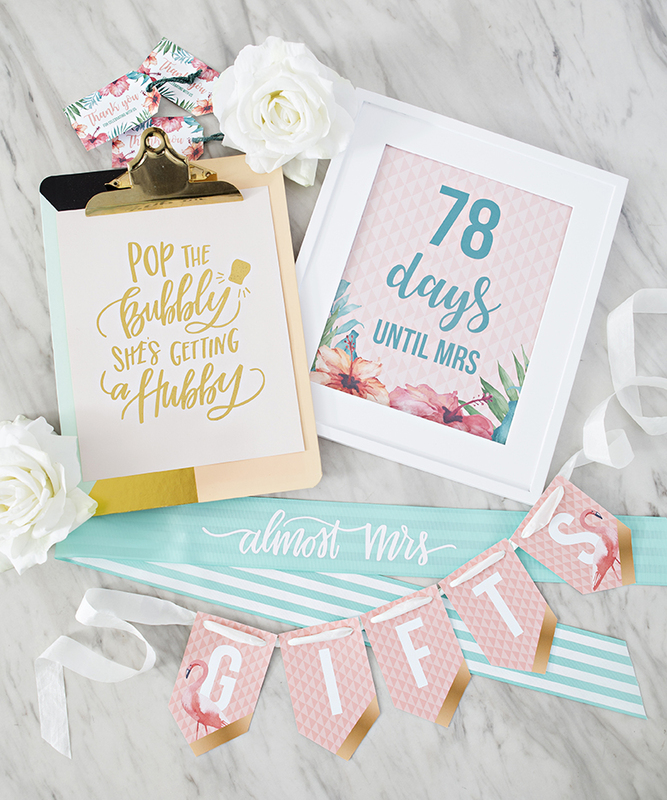 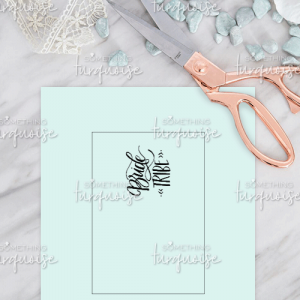 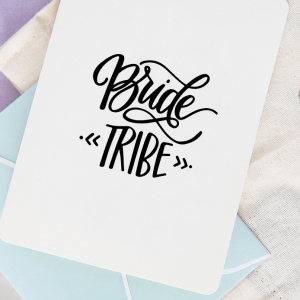 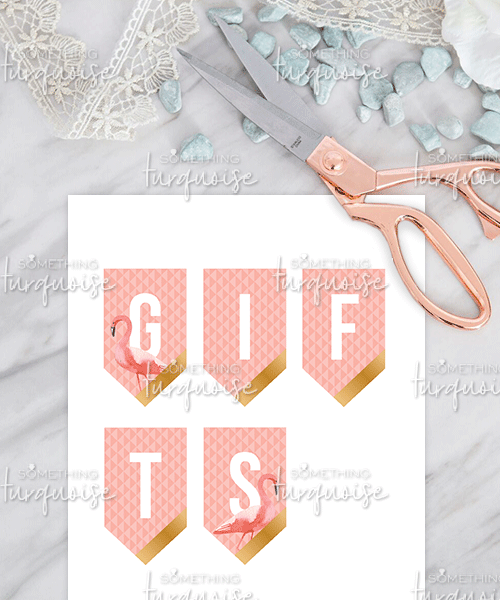 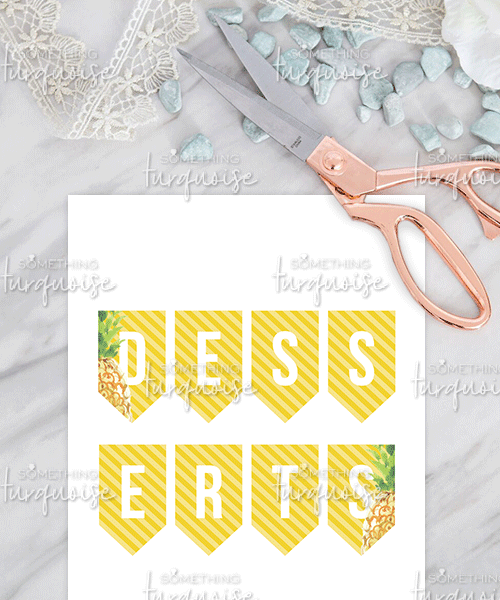 These darling printable banners would make the perfect bridal shower decor! 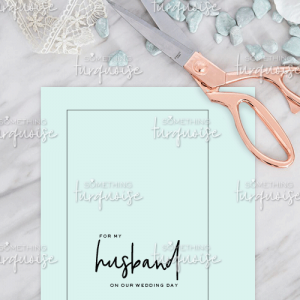 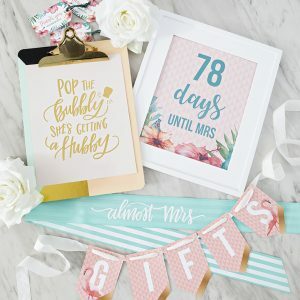 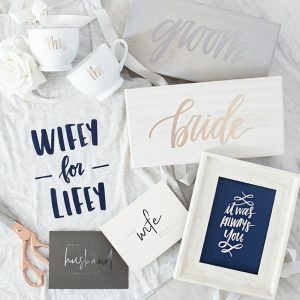 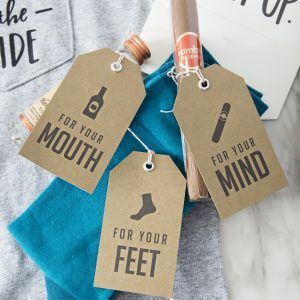 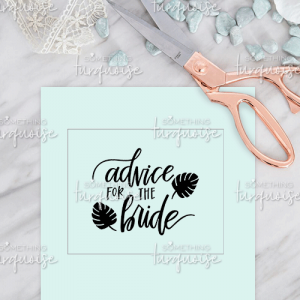 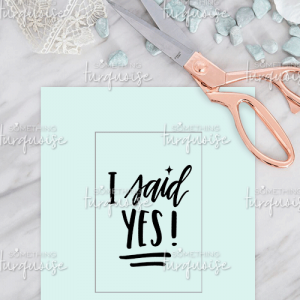 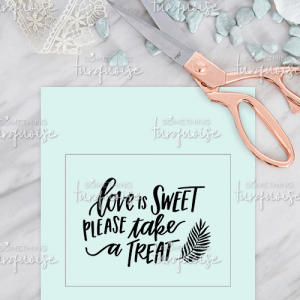 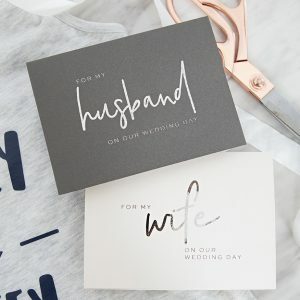 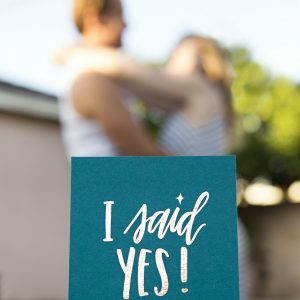 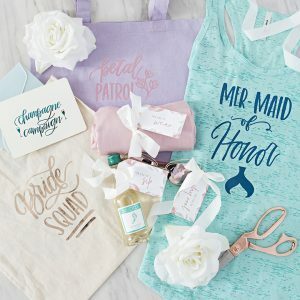 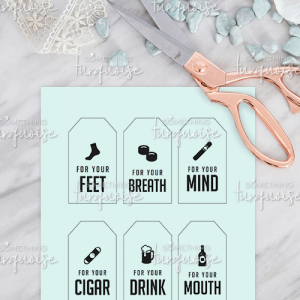 Drinks, Gifts, and Desserts Full-Color Banners: Print onto 8.5″ x 11″ white cardstock or photo paper (there are two pages per banner), cut out each banner tile, hole punch the corners, and string onto ribbon or twine for adorable bridal shower decor. 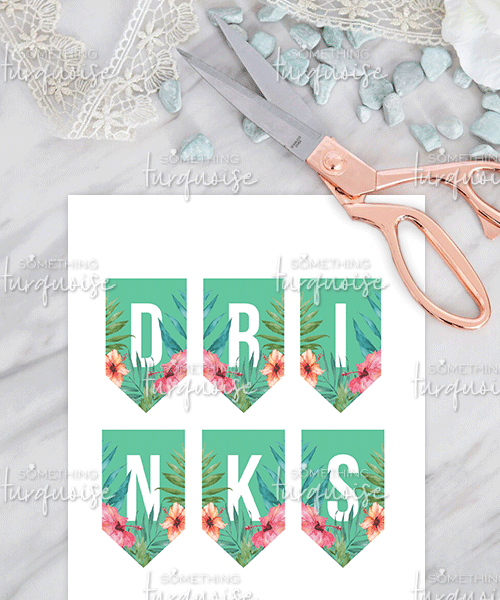 Tropical themed banners for your next summery event!